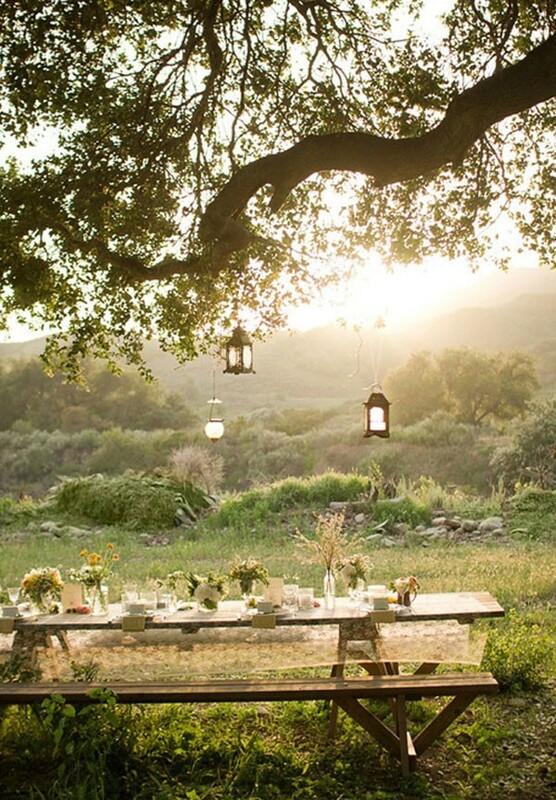 Today is national “Eat Outdoors Day!” What a perfect day to feature Outdoor Weddings. 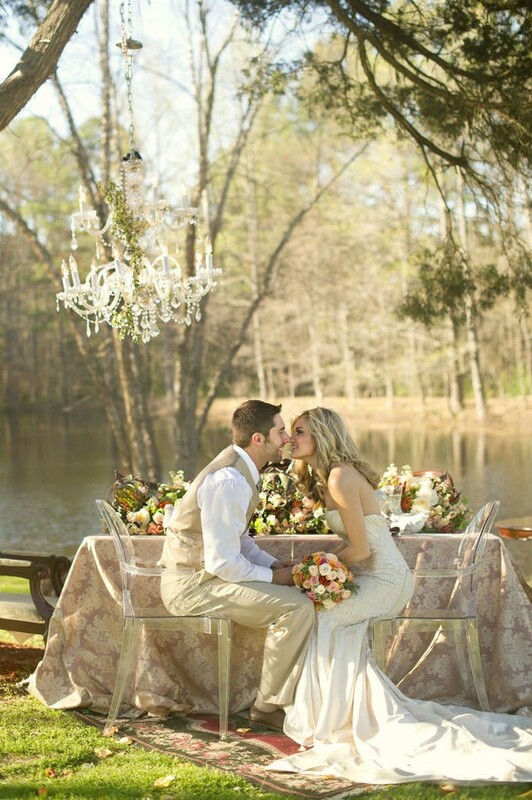 See many more of my favorite outdoor wedding and tablescapes at pinterest! 2. Bring the indoors out. Lay a carpet on the grass. Bring a couch outside for seating. 3. Decorate your table with loads of flowers. Either traditional roses or several wildflowers in separate glass vases. 4. Hang mirrors to create the look of walls. 5. 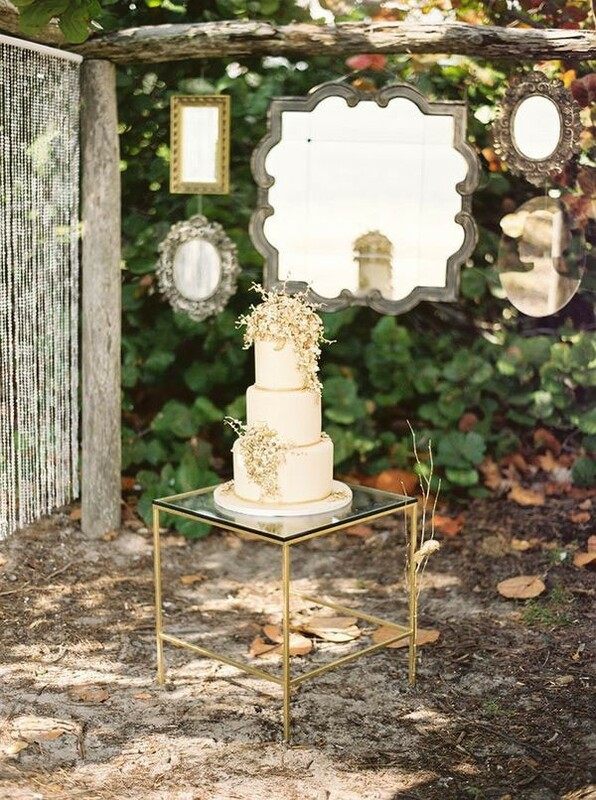 Use doors or door frames to create separation of the wedding and eating areas. Did you have an outdoor wedding or celebration? Do you have any great tips to share with our readers? Please comment now. I have to say. I LOVE this time of year. It’s the end of August here in Ohio. The sky is still blue, grass is green, and the hydrangeas are still in bloom. Hot days and cool nights. LOVVVE! 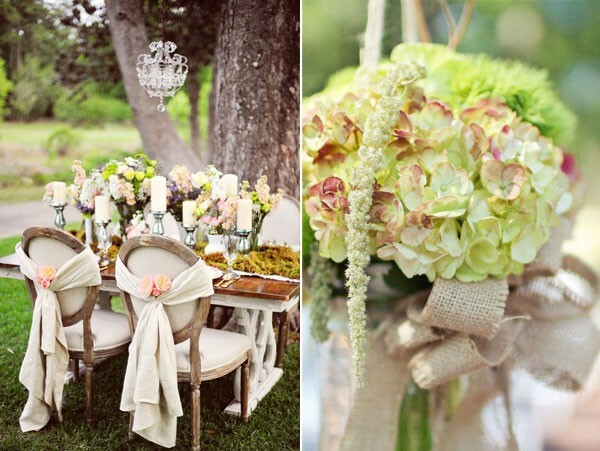 The words for this post that come to my mind are Vintage Elegance, Autumn Chic, and Fall Hydrangea. 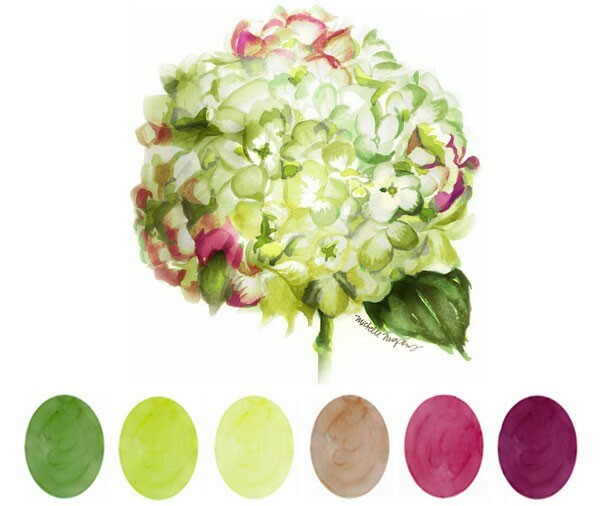 Taking the colors from nature, a perfect wedding color palette has emerged. Fresh green, pistachio green, lightest yellow green, burlap brown, red raspberry, and plump purple. I have been collecting my favorite VINTAGE ELEGANCE wedding ideas on pinterest for over a month now. With news of Kate Moss marrying and after seeing the photos on Vogue, it was time to share! 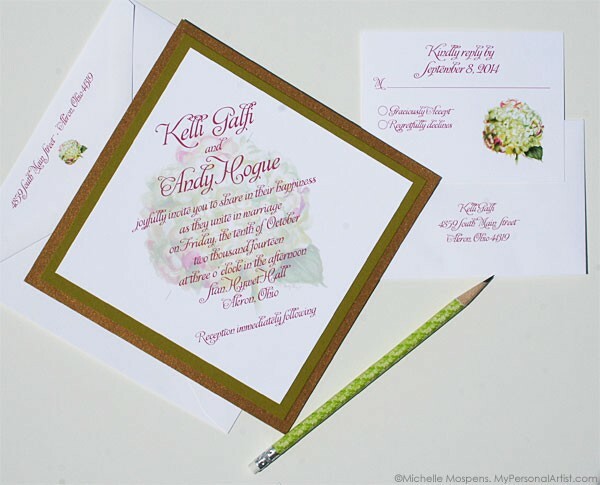 After seeing this inspiration I just could NOT help myself and had to design an invitation to match this vintage chic fall hydrangea theme. 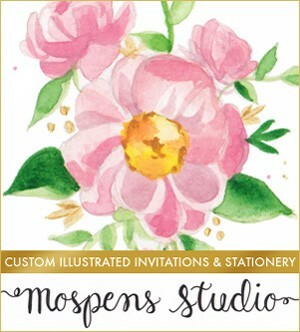 Invitation ingredients: Antique gold metallic, matte citron green, and thick white cardstocks, hydrangea watercolor in greens and red violet tips, red violet / raspberry ink. Bridesmaids! I’m curious. Did you have them in your wedding? How many did you have? Did you buy them a gift? If so, what did you buy them? 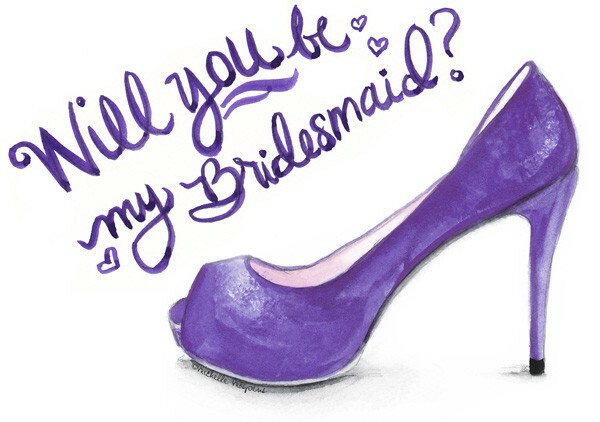 How did you ask them to be your bridesmaid? Did they wear the same color or different colors? Were their dresses the same length or different? Please comment now. I know many of my readers will LOVE to hear your comments. Help a bride out. Oh! I almost forgot. 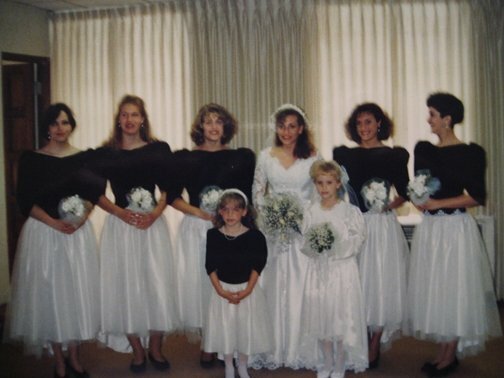 Check out my bridesmaids from our wedding in 1992! I even had a miniature bride. She was adorable and recently was engaged! I wonder if she wants me to be her miniature bride? Recently my family and I traveled to visit my grandmother in the nursing home. We helped her celebrate her 91st birthday. She wore her favorite princess cut (as she describes it) dress with pastel stripes. Frail and lacking the color she once radiated, she couldn’t stop telling us that she loved us ALL so VERY much. And how very much she appreciated all of us being there. A simple life she led. Most of the time wearing this pastel striped dress. She tells the story of growing up with an 8th grade education in a family of 10 and with one dress. During her recent birthday celebration, we all took turns telling our favorite memory with her. Of course mine was how she would make me sit down at her small kitchen table made of dark wood and draw. With a glass of freshly made cold chocolate milk at my side, I drew. “Draw Michelle. Go ahead. Draw!” She was one of my biggest cheerleaders in my life, and she still is today. Among her gifts were at least four new pastel dresses. My guess, they will all be given to her new friends who are now her roommates. And she will continue to wear her favorite pastel striped dress. Proudly. Time flies. Embrace today. And enjoy your weekend friend. 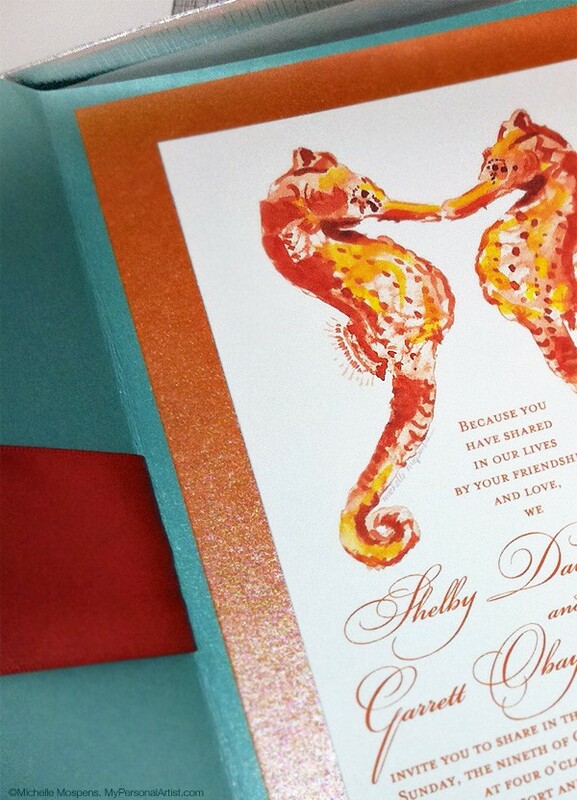 Shelby and Garrett’s invitation with hand painted seahorses is perfect for their beach theme destination wedding! 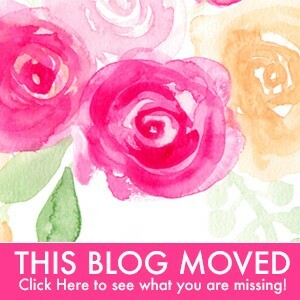 Check out their wedding colors and inspiration! They are vibrant and truly tropical. My resource for the seahorse art was magical. 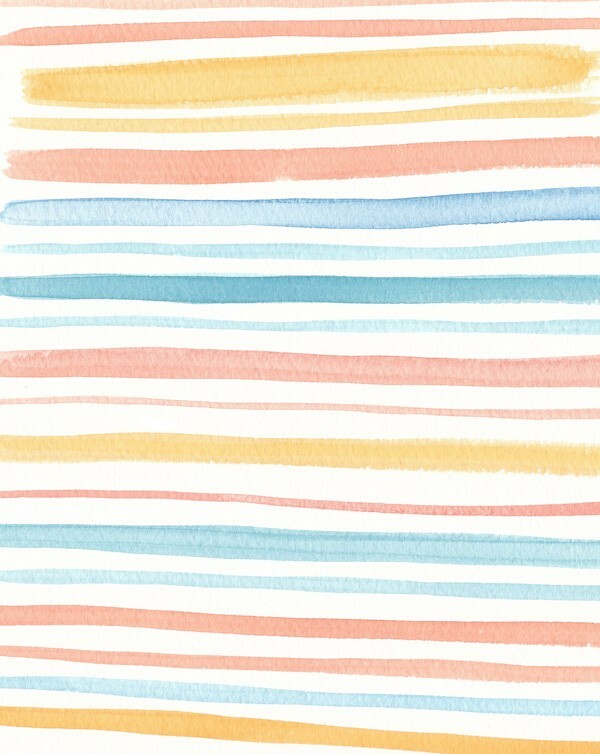 Next up, hand painted watercolor stripes incorporating all of these fabulous colors for the information card.